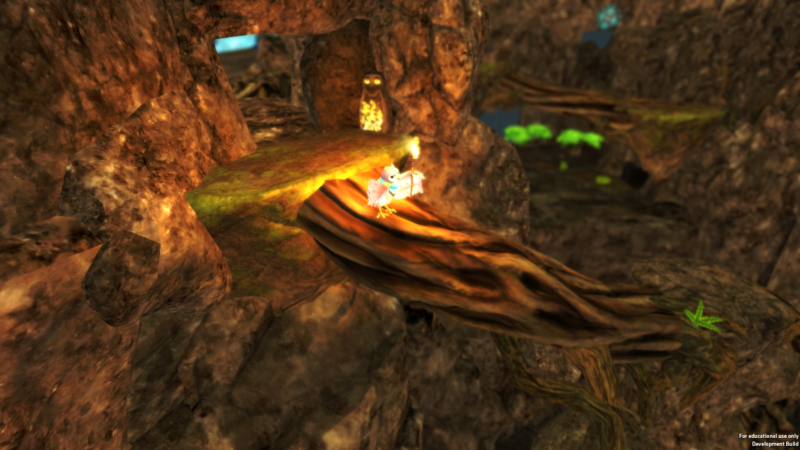 Everend is an Adventure/Puzzle game, that focuses on exploring the space, enjoying the atmosphere and solving the puzzles. 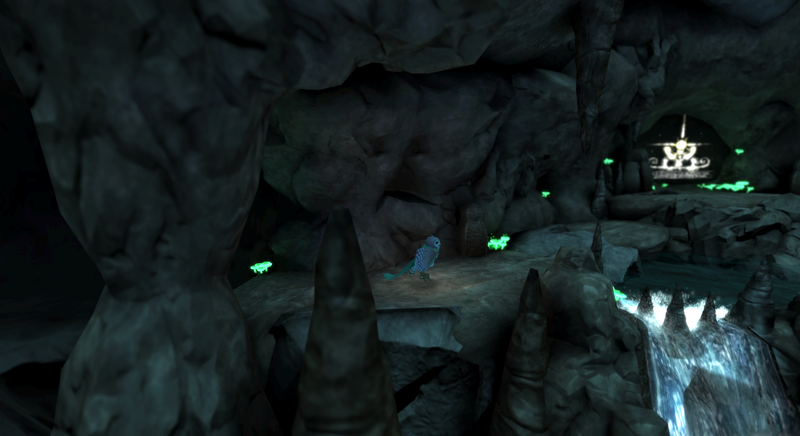 In Everend, the player character is a young owl that has been injured and swept underground. 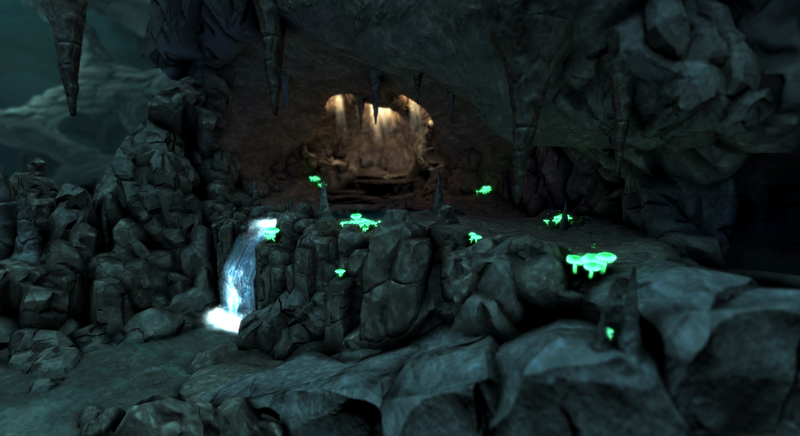 The player must solve environmental puzzles and traverse through the caves to reach the surface. There will be multiple levels where the player will encounter various animals such as moles, bats, and eels, that you will have to outsmart or work around to avoid conflict. These puzzles will involve using the strengths of some of these creatures to progress further through their environment. When not solving puzzles the player will be able to explore and search the environments for interesting clues to the ancient society. In Everend the story is shown through various interactions in the environment, including cutscenes, cave paintings, and collectible items. There are two narratives within Everend. 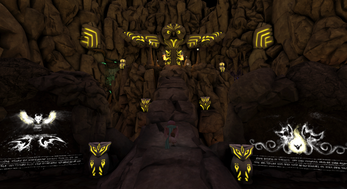 The primary storyline follows the main character's 'coming-of-age' journey through the caves,supported by a passive background story of what happened to the old and mysterious owl civilization. You are in adolescent owl, who is part of a flock that lives in giant, towering trees, in a forest next to the mountains. Your kind is said to have descended from a highly advanced ancestral line, who built great legendary temples, which are now lost to the ages. Your flock has continually been trying to return to their lost homeland, but to no avail. You always were a little different from the rest of your kind, but with them you were where you belonged. Your flock was both family and home, and all you had ever known. With a sudden volcanic eruption shattering the earth you were torn away from both family and home by fire, singeing your wings and casting you down from the rest of your flock. You wake up alone, washed deep down into what appears to be a gigantic cave. 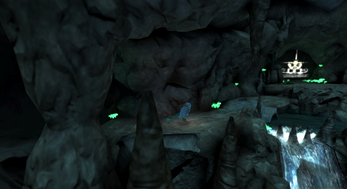 You can do little more than glide due to damaged wings and must traverse through complex caves using what few items you could find, and ascend towards the surface. Many obstacles stand in your way, but with a little cleverness you will find that your goal is well within reach. Along the way you may find hints that allude to your race's lost past. Hey! 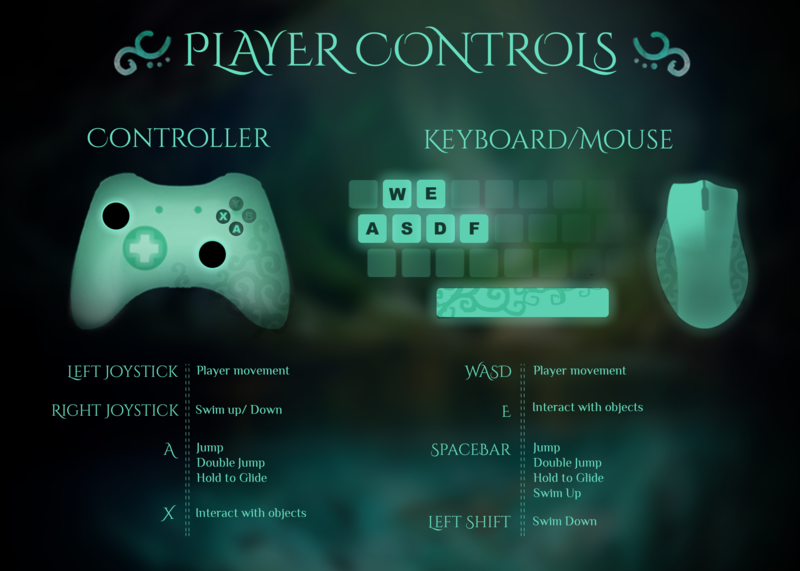 I really like the storyboard and the look of the game, but for some reason I can swim down with both the keyboard and the controller. I really like it, but I'm having issues swimming down. The control page highlight F on the keyboard and staes in text to press Lshift, and neither are working for me. Please help, since I've gotten myself stuck. You made a really great game!